Interference between pregnancy and rhinoplasty is important because most candidates of nose surgery are women in their childbearing age. 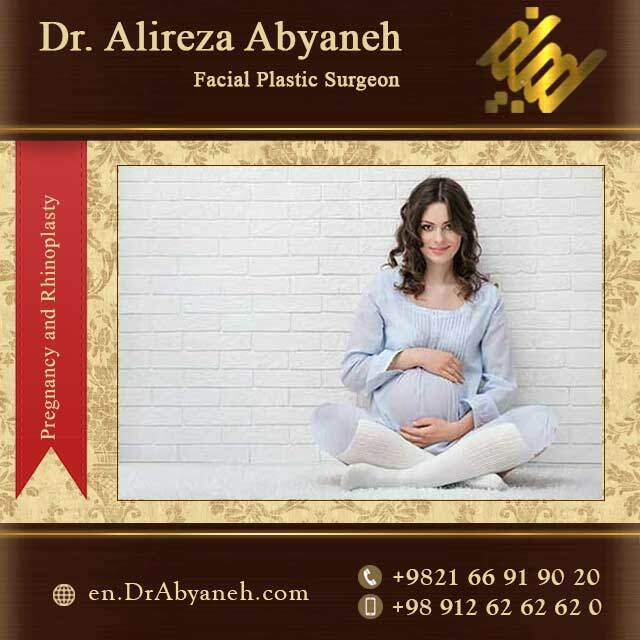 If a woman is not pregnant and she is sure about it, she can undergo the nose surgery. If a women is not pregnant but she is not sure about it, she must get the pregnancy test done. Since anesthetic drugs that are used in surgery can cause fatal injuries, nose surgery is strictly forbidden if the pregnancy test is positive. If a woman has had a childbirth (either a natural vaginal delivery or a cesarean section), she can have the rhinoplasty at least three months after delivery. If someone plans for pregnancy after the nose surgery, she can make it at least one month after the nose operation. It should be noted that, during pregnancy, such as other parts of the body, nose may swell up. In addition, this swelling leads to intranasal congestion and temporary nasal obstruction. Swelling due to pregnancy slows down the one-year process of fading the pos-rhinoplasty swelling. In other words, pregnancy does not cause deformity or change the shape of the nose, but it will delay the swelling reduction. Swelling will be subsided six to nine months after the childbirth. Lactescent mothers can resume the breastfeeding 24 hours after rhinoplasty. Lactation is not forbidden even during this 24 hour, but it will lead to sleepiness of the baby.